What was all the fuss about? Did Hungary break off relations with the EU, leave NATO and join the Russia-led Eurasian Economic Union? No, not really. The two leaders talked about more conventional topics, focusing mostly on sanctions, energy and economic cooperation. Prime Minister Orban slammed the EU's economic sanctions against Russia, saying that they had cost Hungary billions in losses over the last three years. "Hungary continues to maintain that non-economic issues cannot be solved by economic means, [and] one should not drag other conflicts into the area of the economy, because it will be detrimental," the Hungarian leader said, referring to the ongoing crisis in Ukraine which had precipitated the West's anti-Russian sanctions in the first place. Putin and Orban also reached an agreement on gas deliveries. Russian gas contributes to over 60% of Hungary's natural gas consumption. Orban explained that he preferred the Turkish Stream pipeline project over Nord Stream II, hinting that the latter would increase Germany's power as a transit state in Central and Eastern Europe. In any case, President Putin noted that Hungary was a reliable link in the transit of Russian energy to Europe. "The Russian President said that one way or another, even if by zigging and zagging, Hungary would receive the necessary gas supplies," Orban noted, alluding to the ongoing troubles in neighboring Ukraine. Orban announced that preparations were underway for the construction of the €12 billion Russian-built Hungarian nuclear power plant at Paks, with construction itself set to start in 2018. "We cannot wait for the construction work to finally begin," the Prime Minister emphasized. Characterizing the Paks nuclear plant as a win-win for both parties, observers have said that when it is completed, the NPP would help ensure Hungary's energy independence. Russian state nuclear company Rosatom, meanwhile, would gain an important customer in Europe, allowing it to get its foot in the door to sell its services across the continent. "Together with the construction of a nuclear power plant in Finland, which began a year ago, [Paks] will give Moscow a green light to sell its services in the field of nuclear energy into the EU," Dmitri Belsky, an associate professor at Moscow's Higher School of Economics, told RIA Novosti. During Thursday's visit, Putin and Orban also talked about geopolitics, including the situation in eastern Ukraine, and the Middle East and Syria. Speaking to reporters after his meeting with the Hungarian leader, Putin said that he and his counterpart had reached a "common approach" to terrorism, and on the "need to join efforts" to fight it. Putin told his Hungarian counterpart that a return to peace in Syria and other countries in the Middle East would help relieve the acute migration crisis facing Europe. According to political scientist and RIA Novosti contributor Gevorg Mirzayan, the sanctions regime is the single most important issue in Russian-Hungarian relations, and not just in the bilateral context. Hungarian officials, Mirzayan recalled, have repeatedly discussed the need to remove the restrictions, and Putin and Orban may have discussed how to go about doing so during their meeting last week. "It may seem logical that to discuss this subject, it would be necessary [for Russian officials] to fly to Brussels – the nominal capital of the EU, or to its real capital – Berlin," the analyst quipped, asking "what can little Hungary do here?" "As as it turns out, Budapest can do quite a lot," and more importantly, "wants to do so," he added. The reason for this, Mirzayan recalled, is that in the EU, the formal process of adopting important decisions (including the extension of Russian sanctions, for example) requires consensus among its 28 member states. "Here, even the objection of small but decisive Hungary can lead to a collapse of the sanctions regime," he noted. Of course, Mirzayan recalled that under normal circumstances, rules or not, pressure against EU members trying to reject the status quo could be overwhelming. "Before the last vote, some EU countries (including several large ones such as Italy) publicly advocated the lifting of sanctions, but folded under the formidable gaze of the German Chancellor and the President of the United States. Hungary was among them, and Budapest has explained that they simply did not want to risk going against the opinion of the entire EU." "But now the situation has changed," the analyst noted. 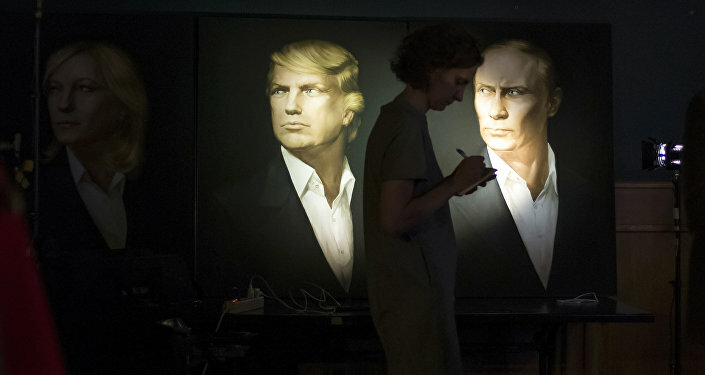 "Donald Trump has come to power in the US, and he is not only sympathetic to the idea of lifting sanctions against Russia, but also sympathetic to the Euroskeptics," including Prime Minister Orban. In fact, Mirzayan suggested that "Orban has every chance of becoming among the favorite [European politicians] of the new US President; after all, they are similar in some ways. For instance, neither is shy to speak in a politically incorrect manner, and both are demonized by the liberal media for it." It's for this reason, the analyst added, "that these same media are now saying that in the spring (when the renewal of sanctions will come up for discussion again), Budapest will likely take a tougher stance than it did in late 2016." In this sense, Mirzayan suggested, "Hungary may become 'Putin's battering ram' for lifting sanctions." "What's important is that Hungary itself wants to become that battering ram," the analyst emphasized, "and not just for economic reasons (everyone understands that in the new reality, the EU country that makes the first real steps to normalizing relations will Russia will receive some very good bonuses for it), but for ideological ones as well. Viktor Orban sees the removal of sanctions not only as a chance to correct a mistake, but also a blow to Brussels." Mirzayan noted that at his core, the Hungarian leader is not an anti-EU politician. He cannot even fathom proposing Hungary's exit from the EU, "since he knows how to count, and understands how dependent Budapest is on financial transfers from the EU. All he wants is for there to be greater autonomy of national parliaments in the decision-making process," for bilateral relations as opposed to multilateralism. "Now, if he receives support from Vladimir Putin, the Hungarian Prime Minister can navigate into this new era, demonstrating to everyone Brussels' impotence before the will of pragmatic national leaders…" the analyst concluded.